The South West Opera Company Inc was formed in 1986 and since then we have become a ‘musical’ family of all ages with a shared love of performance! We have toured extensively from Fremantle to Albany showcasing the magic of musical theatre. 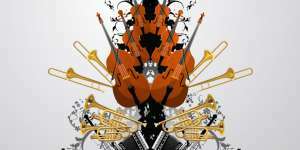 Our mission is to present quality music to the audiences of the South West with a wide range of productions from the great Choral Works, Opera, Musical Comedy and Drama, Operetta, Solo and Ensemble performances to Christmas Carols. 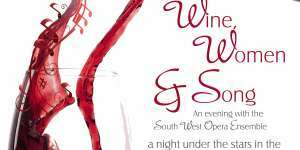 The South West Opera Company Inc invite people of all ages to come along and join in the delights of presenting live performances. We are also looking to the future by providing an opportunity to young and energetic singers in our community to join our Junior Choir – the SWOClets. The South West Opera Company Inc is grateful for the support from all our sponsors in assisting us in making the arts accessible to all members of our local community. SWOC has completed yet another outstanding stage production in 2017 in association with the Bunbury Regional Entertainment Centre (BREC). We are delighted that BREC has received recognition for its support of locally produced contemporary theatre winning the Australian Performing Arts Centre of the Year in this year’s Drover Awards. SWOC’s performance of ‘Fiddler on the Roof’ received wonderful feedback from audiences and we are grateful for the active support of the team at BREC throughout this production.